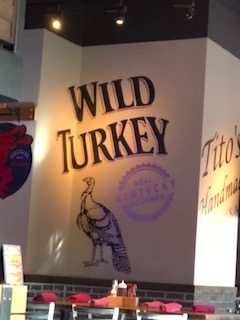 ← Dinners – Piero’s Italian Cuisine – November 7, 2018 – Las Vegas, NV. Lunch – Virgil’s BBQ – November 7, 2018 – Las Vegas, CA. 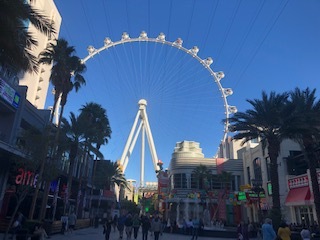 Located in the LINQ Promenade, which has a great array of restaurants and retail stores, all very pristine and fun, it kind of reminds of Universal City Walk, here in Los Angeles. Las Vegas is filled with excitement; everywhere you go there are unique opportunities for fun. 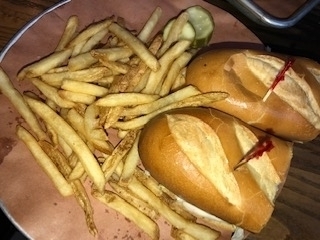 Virgil’s provides excellent BBQ and Craft Beers. They turn into a nightclub in the evenings, with great live music, that only Las Vegas can provide, fun, fun, fun. In the spring of 1993, Artie Cutler’s restaurant empire was booming. After the tremendous success of Carmine’s Italian Family Style locations in Times Square and on the Upper West Side, Artie wanted to add a new concept to the mix. He wanted to open an authentic barbeque restaurant in the heart of Times Square. He soon found the right location at 152 West 44th Street and began a BBQ exodus along the backloads of the South. They are part of the Alicart food group, which owns Carmine’s in Las Vegas, and both restaurants in Times Square. 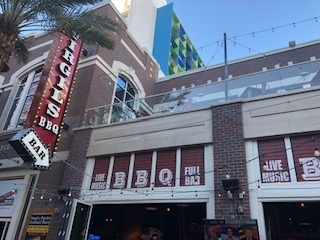 Virgil’s was the original New York City BBQ restaurant, and has evolved over the years to become a gathering place known for warm service and exceptional ribs, chicken, brisket, and pork. The vast menu also highlights other comfort food favorites, and a variety of regional cuisines. 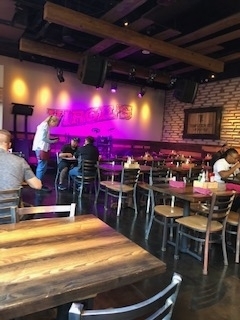 The Las Vegas Virgil’s vibe is warm and inviting, with an out door patio, which allows one to be able to watch all of the LINQ’s shoppers, and partygoers. There is always a welcoming smile amongst the staff; they are really there to please you. Virgil’s Margarita, Sauza Blue Tequila, Fresh lime Juice, Triple Sec. This is a very flavorful margarita with really great tequila, a true winner. Virgil’s Slushies, Frozen Kicked Up Lemonade. 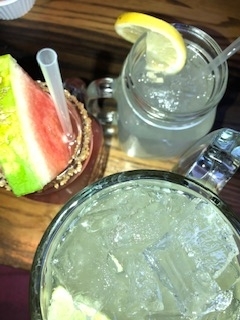 Spiked with Skyy Citrus, Blueberry, Strawberry, Peach, Grapefruit, or Watermelon. Another delicious cocktail, my favorite of the day. 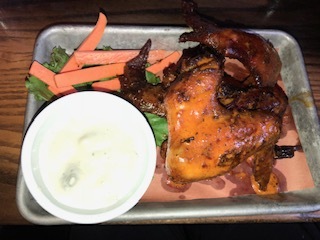 BBQ Chicken Wings, Virgil’s famous smoked Chicken Wings w/ Bleu Cheese Dip. These wings have a bit of a kick, but they are just tender and moist, a little slice of heaven. House Made Beer Battered Onion Rings, very sweet batter with the perfect cooked onion rings. Popcorn Shrimp, Cornmeal Crusted Rock Shrimp Served Over Popcorn with Spicy Remoulade Dipping Sauce. This delicious starter is served over popcorn, and the shrimp is plump and crispy. Southwest Salad, Mixed Greens, Avocado, Tortilla Chips, Bacon, and grilled Red Onion. 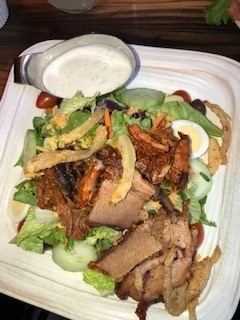 This salad has all of the grilled meat that they offer, hearty and flavorful, my kind of salad. The Burger, Half-Pound Grilled to Perfection. This is a lovely burger with all of the fixings. Shrimp PO’ Boy, Fried Rock Shrimp, Lettuce, Tomato, Tartar Sauce on a Club Roll. I love a good Po’ Boy, and this one was just the best of the best. With nice breaded shrimp, the iceberg lettuce, tomato, tartar sauce, really was the best part of this sandwich. Combination Platter; BBQ Combo, Memphis Style Pork Spare Ribs, and Trash Ribs. My favorite part of this combo is the Memphis Style Pork Spare Ribs, its falloff the bone good. Maryland Crab Cake; Lump Crab Cake Served with Crunchy Zucchini and Cucumber Slaw. The presentation of this wonderful crab cake is very artsy, and the overall appeal is just what any diner would be looking for. Potato Salad, the potatoes are cut in small in quarters, it’s a very simple recipe, but just fantastic. Collard Greens, its got a bit of pork cooked into it and has the best Southern flavor ever. Mashed Potatoes & Gravy, home cooked comfort food at its best. Mac & Cheese, with a crispy topping, nice smooth cheesy flavor, extremely rich, but wonderful. Cole Slaw, this Cole slaw has a delicate onion flavor, with a creamy texture. 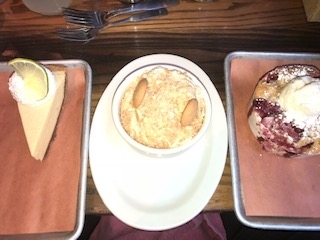 Key Lime Pie, my favorite dessert, great lime zest, with luscious creamy lime type custard, wow. Banana Pudding. So rich, with terrific banana hints, a guaranteed crowd pleaser. Fruit Cobbler, with fresh vanilla ice cream, served warm, the ice cream melts all over the cobbler. You won’t be disappointed by the food or the service eating at Virgil’s in Vegas. I had a variety of meats and sides. Everything was tasty and portions were generous. Service is fast and friendly. The atmosphere is diner style and casual. Location is good for those who are walking the strip and soaking in the sights. Close to all the center strip stuff. Prices are what you’d expect to pay in Sin City. If your in the mood for authentic Southern BBQ from many different styles and places, Virgil’s if the right BBQ for you. I just loved their variety and different menu items and their attention to detail. Virgil’s BBQ is walking distance from the beautiful Bellagio Fountains, Truly a very memorable lunch in Las Vegas. * Note some content was taken off of their website.